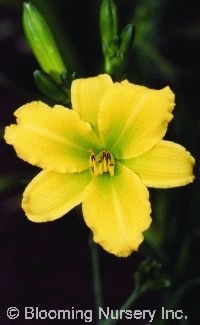 This award-winning rebloomer features profuse canary yellow 3" blooms with green throats. Good branching and bud count. Semi-evergreen in areas with mild winters.